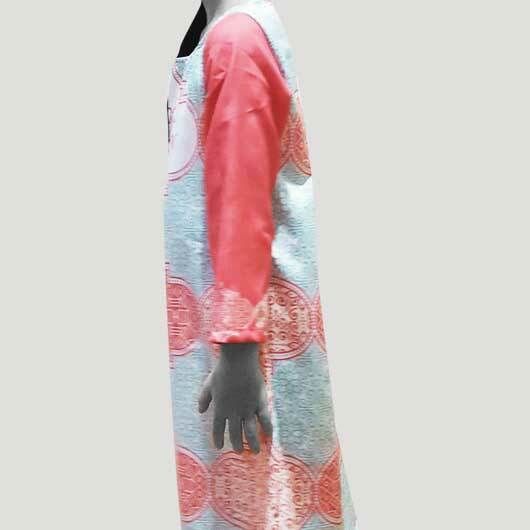 Often, gamis dress or muslim girl dress only produced for teenagers to elder age, without no options for girls. 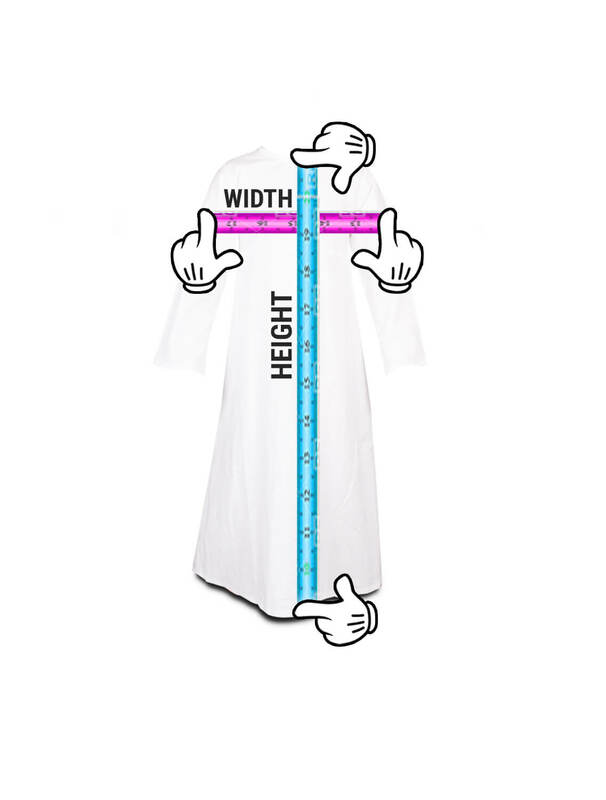 That is why we create 2 version of gamis dress, girl long gamis with length down to the foot and girl midi gamis with length down to the knee. 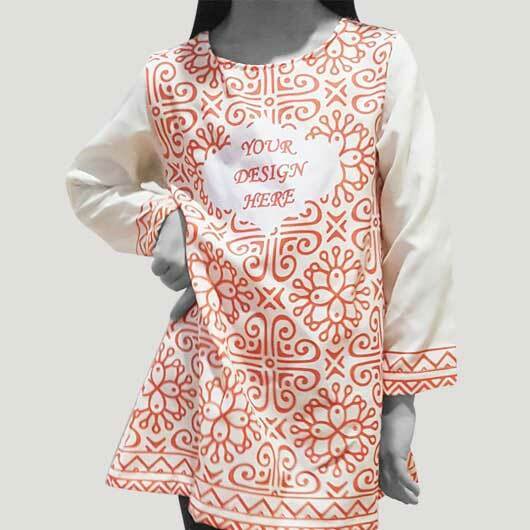 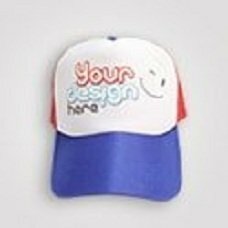 Available some selected high-quality material that is indeed specialized for kids, they are Bowden (soft polyester, falling follows the body, and soft) and Cavalli (doff color material which gives an enough luxurious and elegant impression). 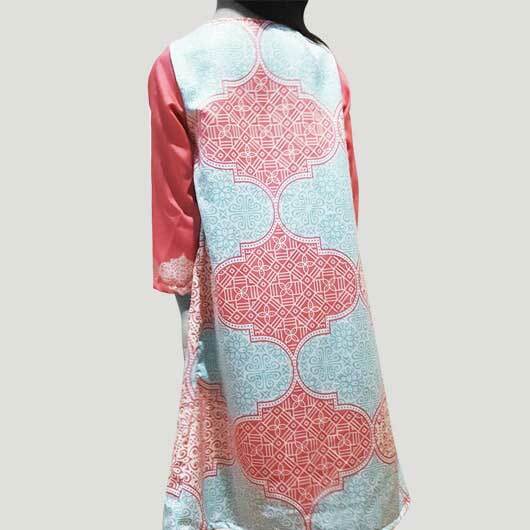 Available in sizes XS-XXL. 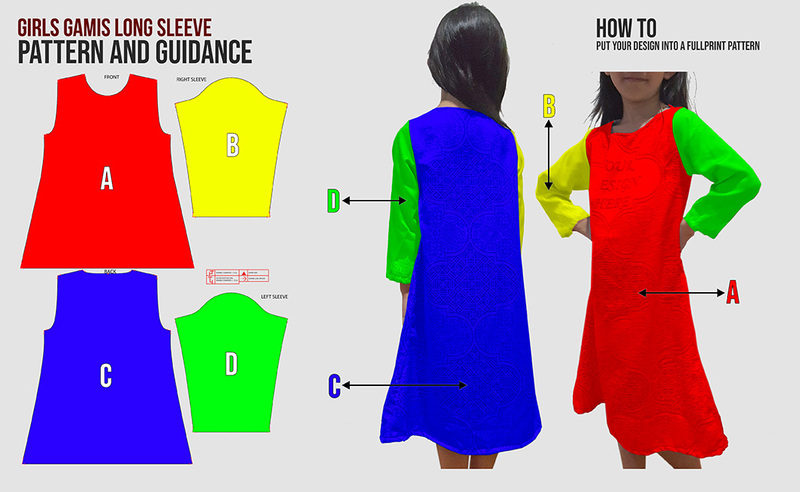 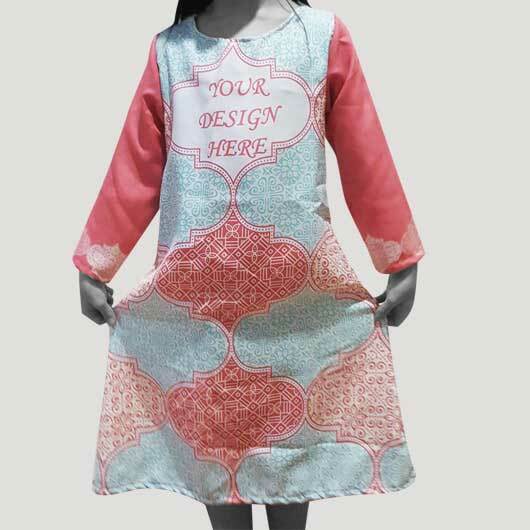 Furthermore, this kids gamis can be created based on what you want. 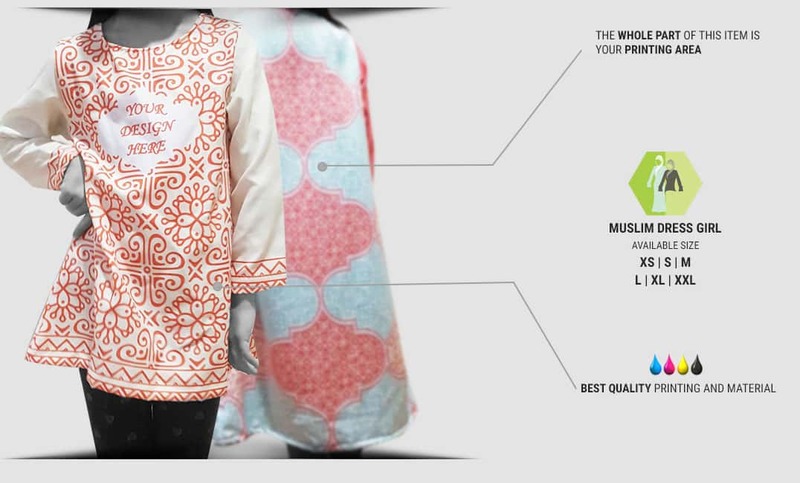 Appropriate religious pictures and adorable colorful pattern, all can be combined with this girl gamis. 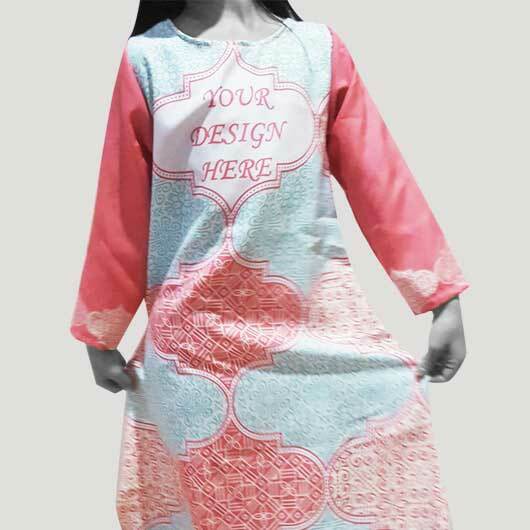 Now it is time to make muslim girl gamis for our beloved kids with any designs, pictures, and pattern, all can be applied. 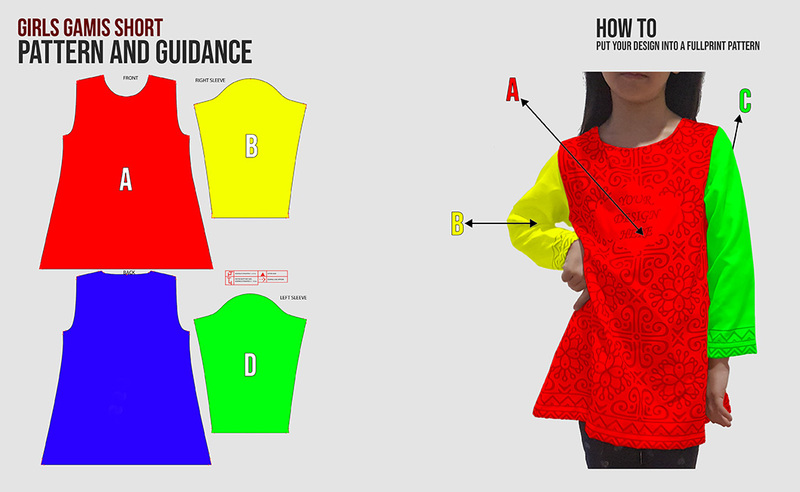 Just access our simulator, upload your design and order.